Sometimes a painting will seem to carry the weight of the moment solely by means of color or form. Mark Rothko wanted his paintings to convey the depth of myth and the struggles of humanity. Richard Lacayo at Time also had an urge to turn to Rothko after the shootings at VirginiaTech. Lacayo only recently learned how to "see" Rothko and has discovered what Rothko was up to: " I understood that all those hovering fog banks of color weren’t gateways to anything, they were emblems of thwarted longing. Rothko was trying to invoke the power of myth, even the power of God, all the while knowing that he could summon those things, but they might not come. Would not, more likely." Today marks the 60th anniversary of Jackie Robinson's first game for the Brooklyn Dodgers. Jackie Robinson was the first African-American baseball player to compete in the major leagues when he joined the Brooklyn Dodgers in 1947. "Sixty years after Jackie Robinson shook the baseball establishment and broke the sport’s color barrier, an unforeseen grassroots movement by today’s players has suddenly shaped the way Major League Baseball will commemorate the anniversary. More than 200 players will wear Robinson’s No. 42 retired by baseball 10 years ago in ballparks across the country on Sunday, the anniversary of Robinson’s first appearance with the Brooklyn Dodgers in 1947. Now, there are six major league teams that plan to have everyone in uniform wearing No. 42 — players, coaches, manager and bat boys. Those teams are the Dodgers, the St. Louis Cardinals, the Pittsburgh Pirates, the Philadelphia Phillies, the Milwaukee Brewers and the Houston Astros." The New York Yankees Derek Jeter will also wear Jackie Robinson's #42 today and he stated to the press, "I am so proud to honor this man who opened the doors for blacks to have an opportunity to play in the major leagues alongside everyone else." "As Jackie Robinson was getting ready to break baseball's color barrier with the Brooklyn Dodgers, Rachel was hustling to get to Ebbets Field in time to see it." "She waited a long time for a taxi because drivers routinely passed up black passengers. She worried their baby, Jackie Jr., would be cold because she had dressed him in spring clothes. And she stopped at a hot dog stand in the ballpark, where a vendor was kind enough to heat the boy's bottle." -Jackie Robinson during his collegiate years at UCLA played football, ran track, was the leading scorer on the basketball team and played baseball. Eakins’ “Portrait of Professor Benjamin H. Rand” (1874), sold to Alice Walton’s Arkansas museum. The painting is destined for the new Crystal Bridges Museum of American Art, now under construction in Bentonville, Arkansas. Carol Vogel in the New York Times is reporting that Thomas Jefferson University in Philadelphia has been at it again in their attempt to sell an Eakins to Crystal Bridges. This time it is Thomas Eakin's portrait of Benjamin Howard Rand. "Less than four months after Philadelphians thwarted its bid to buy “The Gross Clinic,” an 1875 masterpiece by Thomas Eakins, an Arkansas museum founded by the Wal-Mart heiress Alice L. Walton has quietly purchased another much-loved Eakins painting from the Philadelphia medical school that sold the first." "A tour de force from 1874 -Benjamin Howard Rand- a chemistry professor whom Eakins knew as a teacher from his school days. He sits, reading and distractedly stroking a cat (an echo of Manet’s “Olympia” perhaps) at a desk almost comically crammed with microscopes, test tubes, quills and papers. Raking light picks out, like flashes of colored fireworks, the polished brass instruments, a pink rose and a woman’s afghan draped over a chair before the desk. The cat stares at us. Professor Rand remains absorbed in his book. "At the Centennial, where Eakin's “The Gross Clinic” was banished to the medical tent for being too graphic, critics praised the Rand painting as more than a portrait because of the still life of objects in it. Now it seems brilliant but anecdotal." "Artists are mystics rather than rationalists. They leap to conclusions that logic cannot reach." Sol LeWitt's retrospective, which ran from February 19, 2000 - May 21, 2000 at the San Francisco Museum of Modern Art was a revelation. The timing of the exhibition was deeply personal for me. It was the end of one phase of my life, an introduction to a new path, and ultimately a springboard -both personally and artistically- to a new world. Sol LeWitt's life work as laid out in SFMOMA's exhibition was intellectually stimulating and ravishingly beautiful. This was an artist who was deeply serious, yet who had no fear of beauty. "I would like to produce something I would not be ashamed to show Giotto." "Born in 1928 in Hartford, Connecticut, LeWitt moved to New York in 1953, just as Abstract Expressionism was beginning to gain public recognition and was dominating contemporary art. He found various jobs to support himself, first in the design department at Seventeen magazine, doing paste-ups, mechanicals, and photostats, and later, for the young architect I.M. Pei as a graphic designer. This contact proved formative, for as LeWitt would later write, "an architect doesn't go off with a shovel and dig his foundation and lay every brick. He's still an artist." -from the SFMOMA website created for the Sol LeWitt retrospective which ran from February 19, 2000 - May 21, 2000. Wall Drawing at Crown Point Press, 657 Howard St Entrance. "No matter what form it may finally have it must begin with an idea." "When an artist uses a conceptual form of art, it means that all of the planning and decisions are made beforehand and the execution is a perfunctory affair. The idea becomes a machine that makes the art." The SFMOMA site on the Sol LeWitt exhibition explains, "In 1960 LeWitt took a job at The Museum of Modern Art, working first at the book counter and later as a night receptionist. 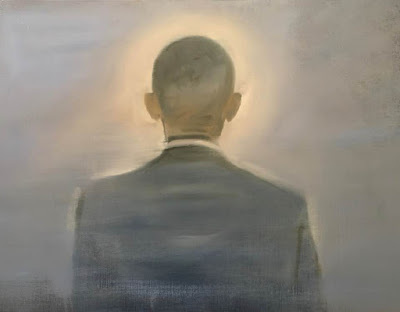 He met other young artists working there (Dan Flavin, Robert Mangold, Robert Ryman, and Scott Burton), placing him in the midst of a community of young artists searching for a new direction." Other artists were important to Sol LeWitt. As Tyler Green points out: "Stories of LeWitt's generosity to other artists and to the art world are everywhere. In addition to supporting groups such as Printed Matter, for years LeWitt traded work with near any artist who wanted to trade with him. He kept the works he received in a warehouse near his home, in Chester, Conn. He sent his collection of contemporary art around the country, mostly to small museums that have limited access to top new art." LeWitt most often used assistants to execute the works based upon his detailed instructions. "Six-part drawing. The wall is divided horizontally and vertically into six equal parts. 1st part: On red, blue horizontal parallel lines, and in the center, a circle within which are yellow vertical parallel lines; 2nd part: On yellow, red horizontal parallel lines, and in the center, a square within which are blue vertical parallel lines; 3rd part: On blue, yellow horizontal parallel lines, and in the center, a triangle within which are red vertical parallel lines; 4th part: On red, yellow horizontal parallel lines, and in the center, a rectangle within which are blue vertical parallel lines; 5th part: On yellow, blue horizontal parallel lines, and in the center, a trapezoid within which are red vertical parallel lines; 6th part: On blue, red horizontal parallel lines, and in the center, a parallelogram within which are yellow vertical parallel lines. The horizontal lines do not enter the figures." LeWitt's work strikes a delicate balance between the physical work and the idea. His wall drawings begin with a series of mathematical calculations laid out on papers, which are crafted into precise yet open instructions that a team of collaborators executes. LeWitt's massive, vibrant wall drawings are like Renaissance frescoes in their ability to create a new kind of space which is both painting and architecture. Even though LeWitt used industrial materials that he felt would erase any trace of craft and employed assistants to execute his ideas, the importance of the artist's hand is still evident in the subtle shifts in color and line in the wall drawings. LeWitt's desire to adhere to a system did not negate his wish to create truly beautiful wall drawings. As the artist said in the early 1980s, "I would like to produce something I would not be ashamed to show Giotto." Hidden Picasso Under SFMOMA's "Street Scene" painted by Picasso in 1900. A Trinity of Light - L.A.
"Things in the light here have a kind of threeness instead of the usual twoness. There's the thing -the object- and its shadow, but then a sense of reflection as well. You know how you can be walking along the beach ... and you'll see a seagull walking along ahead of you, and a wave comes in, splashing its feet. At this moment, you'll see the bird, its shadow, and its reflection. Well, there's something about the environment here - the air, the atmosphere, the light - that makes everything shimmer. There's a kind of glowing thickness to the world - the diaphonous soup- which in turn, grounds a magic-meditative sense of presence."